A Toronto-based, trio comprising of Jayme Stone on banjo, Morgan Doctor on percussion and Jen Gillmor on kamel n'goni, Yala interpreted music from West Africa to Appalachia. 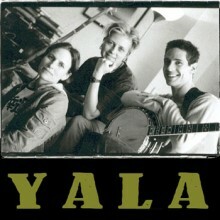 "Yala" is a term which, in the Bambara language of Mali, means "roaming around for no particular reason". This was an apt moniker for a group that performed largely improvisational material.